Success in trading penny stocks starts with information and then research, so we've gathered a list of penny stocks with the best share-price gains last week. First on our list of penny stocks is Amarin Corporation Plc. (AMRN), which started last week with an announcement that it would be presented two posters at the American College of Cardiology meeting. The research in the posters will add valuable data regarding EPA use with statins. With its announcement came an increase of $1.55 to $1.74 per share. 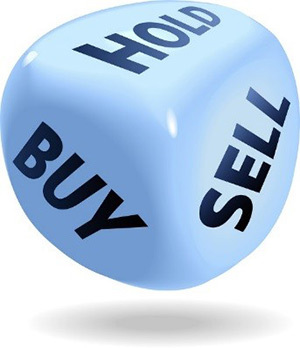 The penny stock Provision Holding Inc. (PVHO) saw a 21.95% increase to $0.51 Friday. This is after other increases the past three days. The company manufactures 3D holographic display technologies and software. Cymbay Therapeautics Inc. (CBAY) reported its fourth-quarter results for 2015. With the company's advancements in treating metabolic diseases with the drug MBX-8025, its stock price rose 38% to $1.39 in the middle of the week. Follow this company over the next few weeks as more news comes forward on how and when this drug will debut. It may make another week on our penny stocks list in the near future. Continuing down our penny stocks list, China HGS Real Estate Inc. (HGSH) is a developer that had a 78.57% increase Friday for a final stock price of $3.25. Trading volume also rose to 1.3 million, which is a 1,992% increase over the last 30 days. Something is brewing with this developer, so look up what's going on this week. It may not be much after all of the activity last week; however, there may be more down the pipeline. Northwest Biotherapeutics (NWBO) develops therapies for tumor cancers. The company recently put its latest clinical trial on hold to screen additional patients. But shares of this penny stock still rose about 17% last week. American Riding Tours Inc. (AMRD) shot up 46% on Tuesday. The company reported its 10Q that morning, which could explain the increase. It's uncertain exactly what caused the price hike, which is common for penny stocks. Tidelands Bancshares Inc. (TDBK) saw an increase of 150% last week. This was after the company was acquired, which ended up taking the shares to $0.52 each. Progressive Care Inc. (RXMD) announced on April 7 it had a phenomenal month breaking the record for revenue in March. The pharmacy filled 18,600 prescriptions and reached $1.5 million in revenue. The company's CEO S. Parika Mars reported it has been working diligently to grow and expand its facility to market to a larger target audience. This could be the beginning of a continued upward movement for the pharmaceuticals provider. We follow stocks throughout the week to bring you this penny stocks list. While we aim to provide the best information possible to you with this penny stocks list, the companies are not necessarily recommended. It's important to use this penny stocks list for informational purposes. 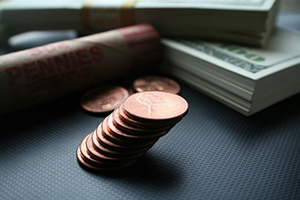 Do your research to identify which penny stocks are best for your portfolio. For additional help on succeeding with penny stock investing, download our free report: This Penny Stock Will Double Your Money — and Save a Dying U.S. Industry.